Autumn has to be my favorite season by far. In our valley, the foliage of aspens, plum trees and orchards dazzle this time of year. 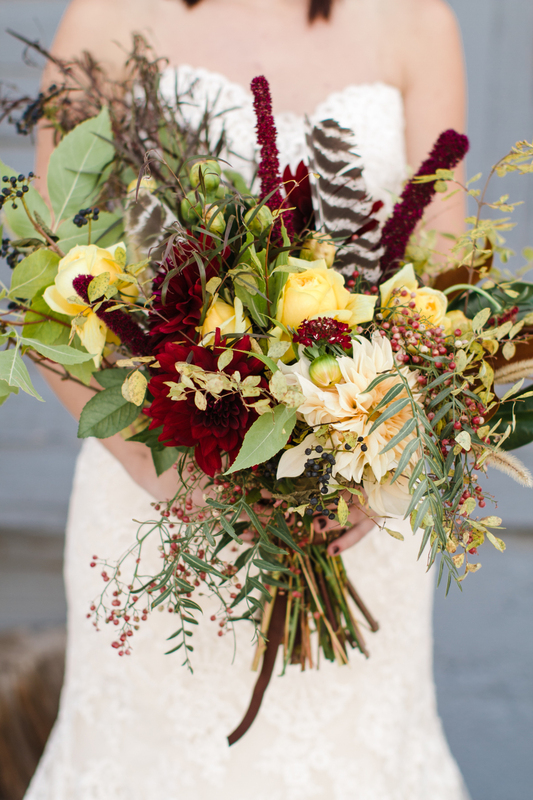 This shoot took inspiration from the natural beauties Western Colorado has to offer. Cozy barn spaces, abundant harvests and an untamed mountain vibe. 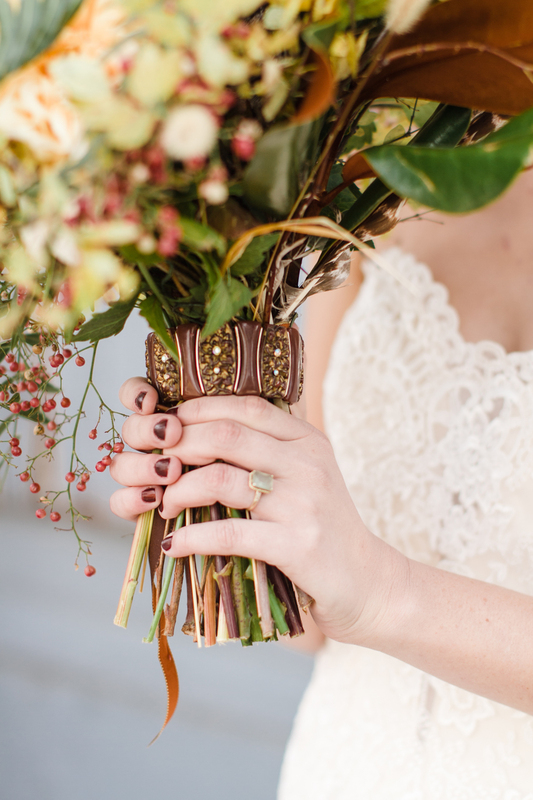 I've been dying to style a locally grown, mountain fall shoot! Kaylan from K Robinson Photography chose the historical location of cross Orchards, offering homage to our farm to table region and photographed it beautifully. I love when she photographs my flowers! And then there is the dress! 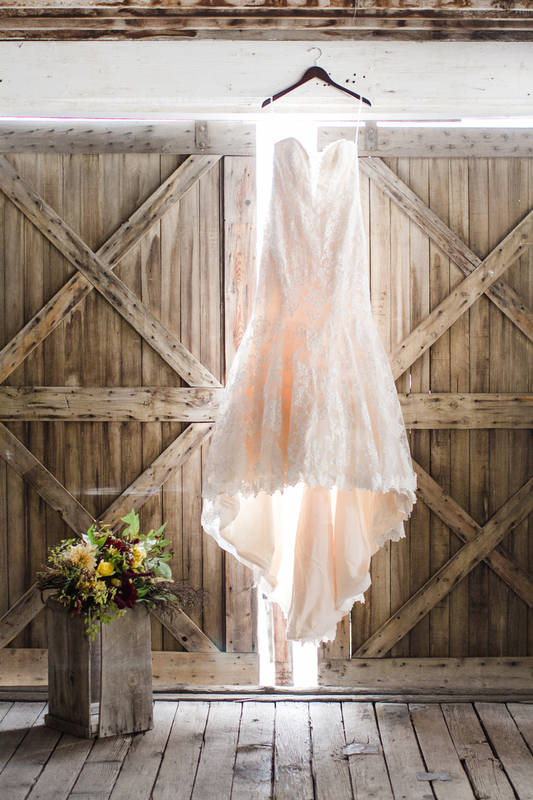 A lacy dream of a gown contributed by Britta at Anneliese Bridal Boutique. Her collections are always classy, sophisticated and just perfect for whatever look a bride would need. To see the full gallery of this shoot, be sure to click here.